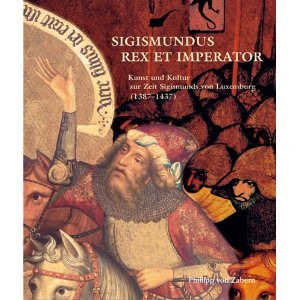 Emperor Sigismund was one of the most frequently depicted historical personalities of the 15th century. His real and disguised portraits can be found in countless panel paintings, frescoes and miniatures. 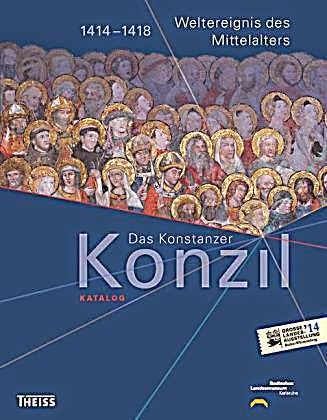 Entire volumes - such as the Chronicle of the Council of Constance by Ulrich Richental or the Recollections of Eberhard Windecke - are filled with images of Sigismund. 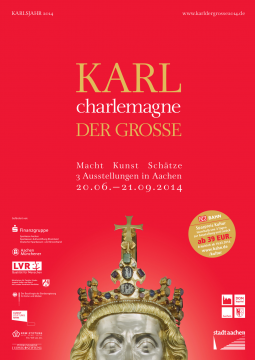 You can browse some of these portraits on the website of the 2006 exhibition on King and Emperor Sigismund. 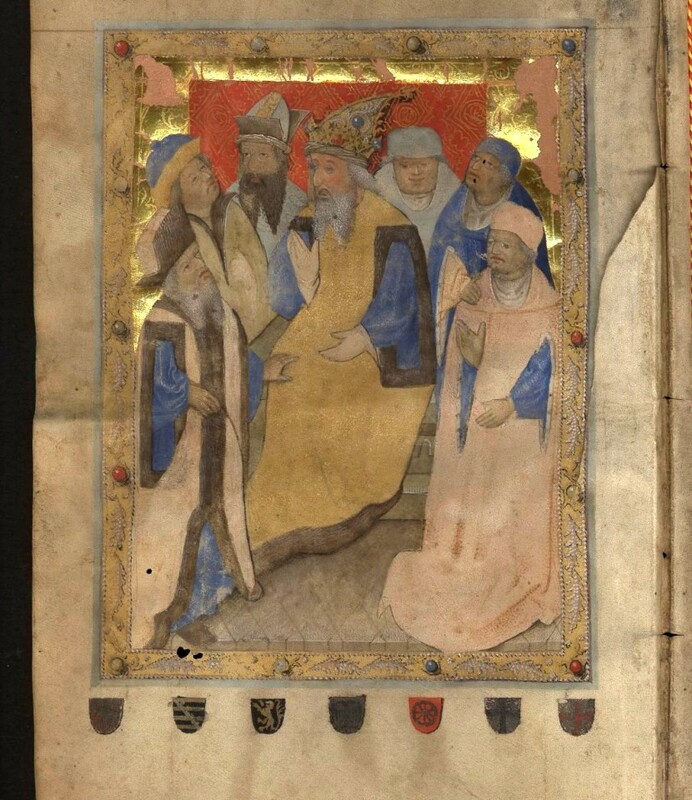 Despite this wealth of images from every part of the Holy Roman Empire from Siena to Görlitz, it seems that French and Netherlandish illuminators of the second half of the 15th century really had no clue as to what Sigismund looked like. 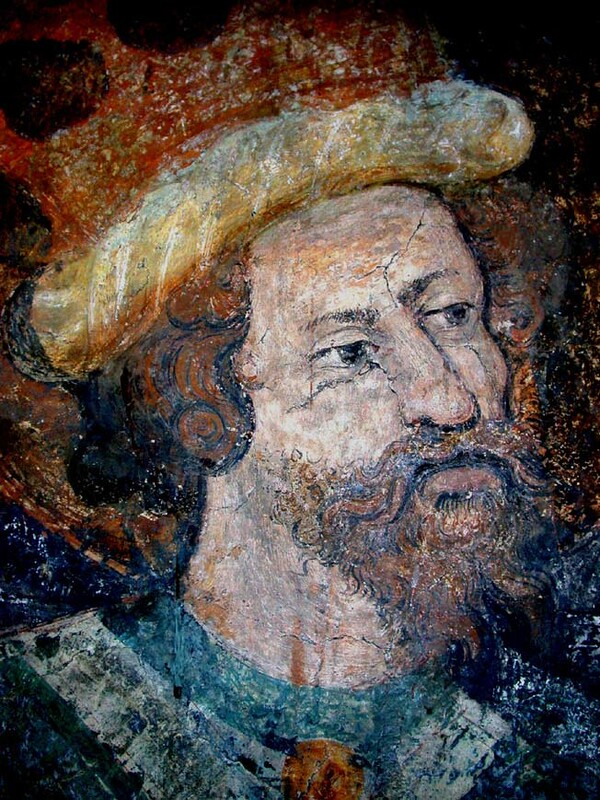 He is often depicted in historical manuscripts, especially in images of the disastrous Battle of Nicopolis (1396). See, for example the lavishly illustrated copy of Sebastien Mamerot's Chronicle of the Crusades, Les Passages d'Outremer, completed by Jean Colombe around 1474, and held at the Bibliotheque nationale de France and recently issued in a facsimile. 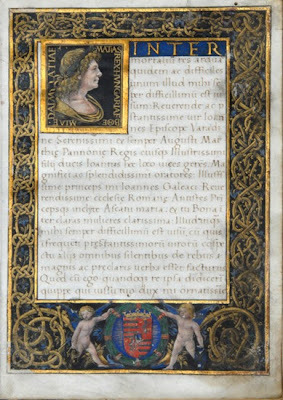 A particularly amusing example in this respect is the so-called Pageants of Richard Beauchamp, Earl of Warwick, which can be studied in this 1908 edition. Completed in 1485, this manuscript is the only illustrated biography of a late medieval secular figure, and features the Earl's various encounters with rulers, including Sigismund. 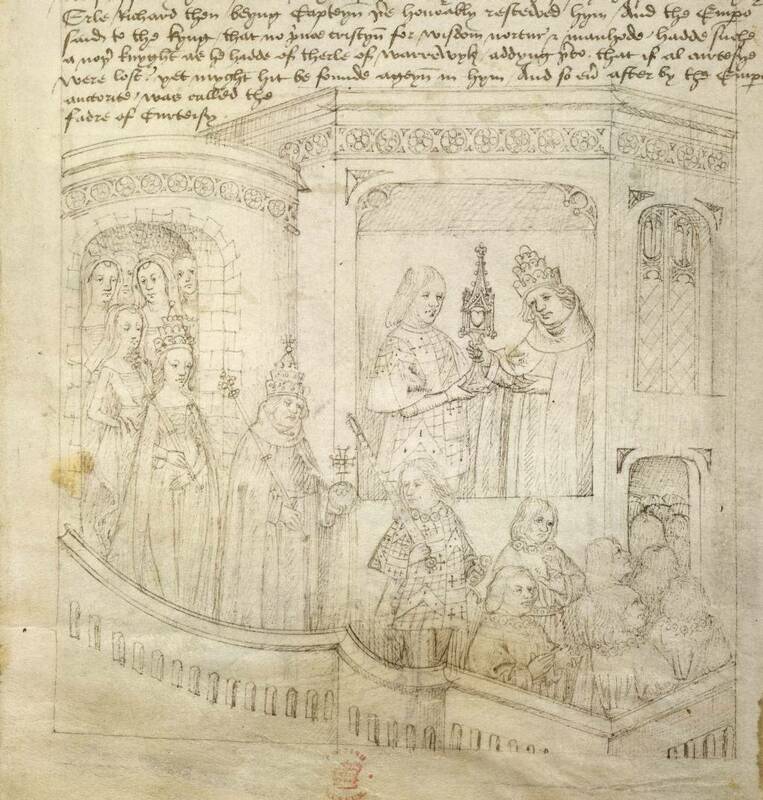 Pageant 35 (on page 138 of the Roxburghe Club facsimile) for example shows the Earl and Sigismund exchanging gifts, and Sigismund is depicted as a fairly young, beardless figure, with a fancy three-tiered crown (see below). 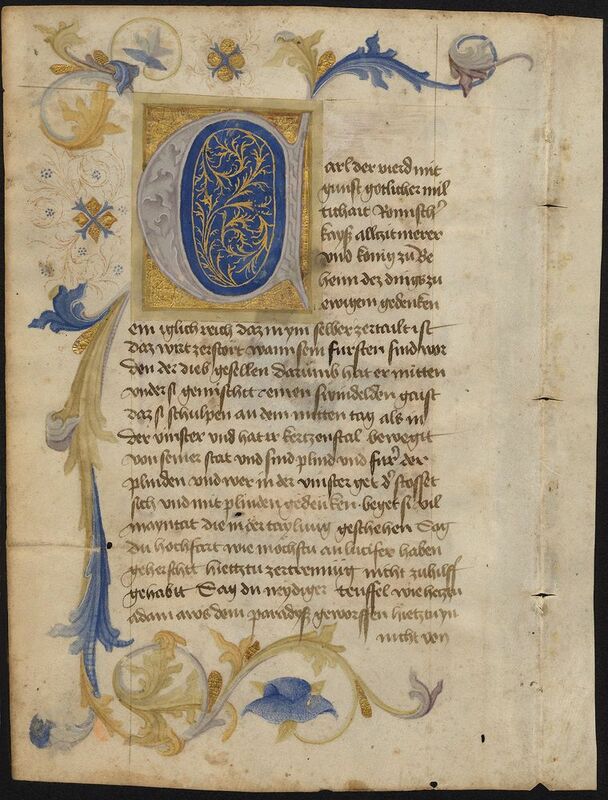 More information on this manuscript is available on the website of the British Library. 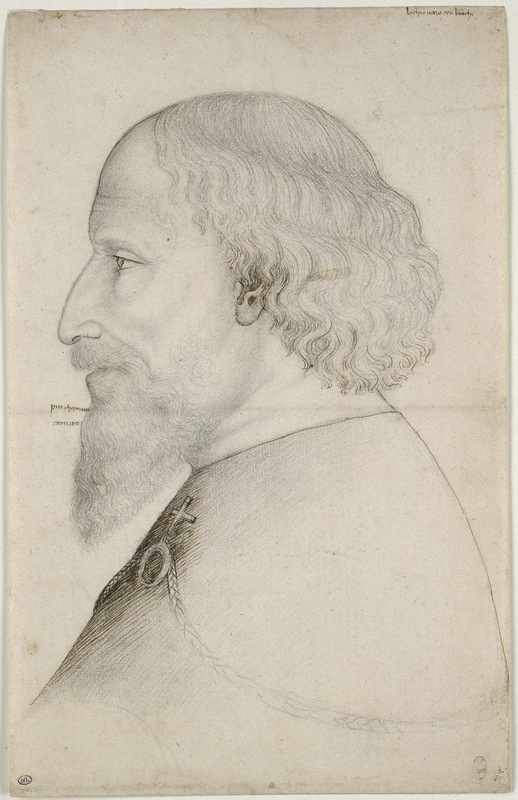 I went through a lot of effort to gather such images for the 2006 Sigismund exhibition and its catalogue, but no doubt several manuscripts escaped my attention. 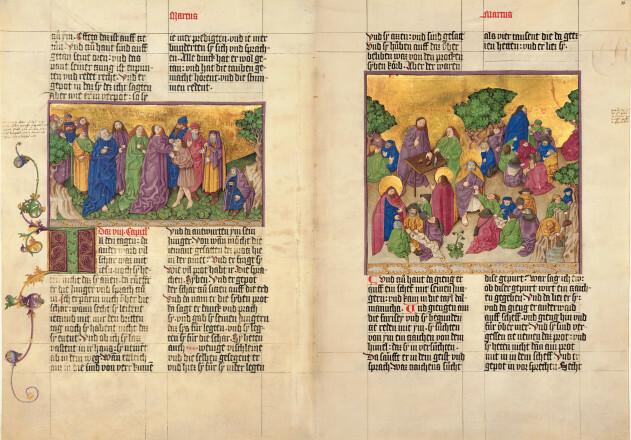 I would like to mention just one of these, which is currently on view at the Getty Center's exhibition on Fashion in the Middle Ages. 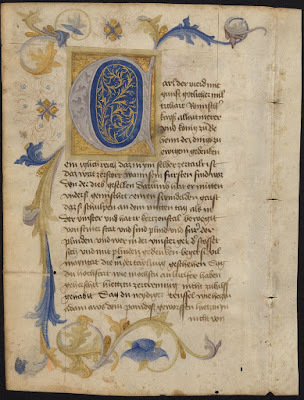 The book is a French manuscript from around 1460-1470, containing the popular Tale of Two Lovers by Aeneas Sylvius Piccolomini (a story he wrote in 1444, obviously before he became Pope Pius II). 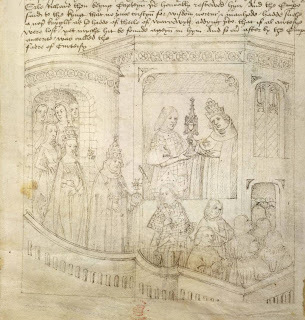 The story of the two adulterous lovers is set in Siena, at the time of Emperor Sigismund's visit and lengthy stay there on his way to his imperial coronation in Rome (1432). 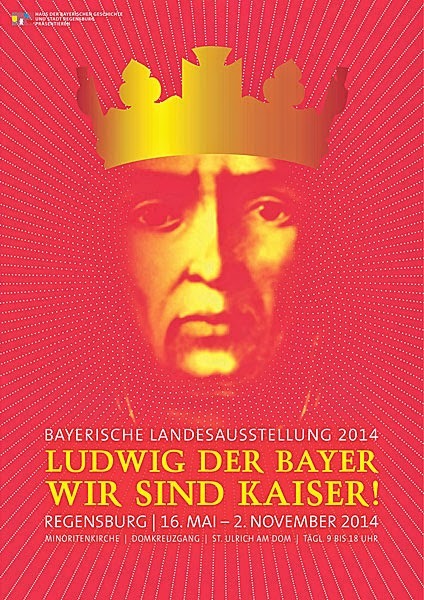 The story is dedicated to Kaspar Schlick, imperial chancellor of Emperor Sigismund (and later of Emperor Frederick III), who is also the main character - Euryalus - of Aeneas’ tale.